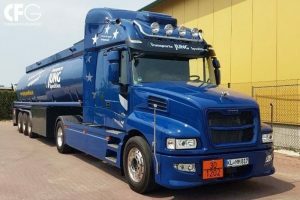 Europe is not known for bonneted trucks these days, but some companies keep trying to produce a bonneted version of the latest Euro-6 trucks. 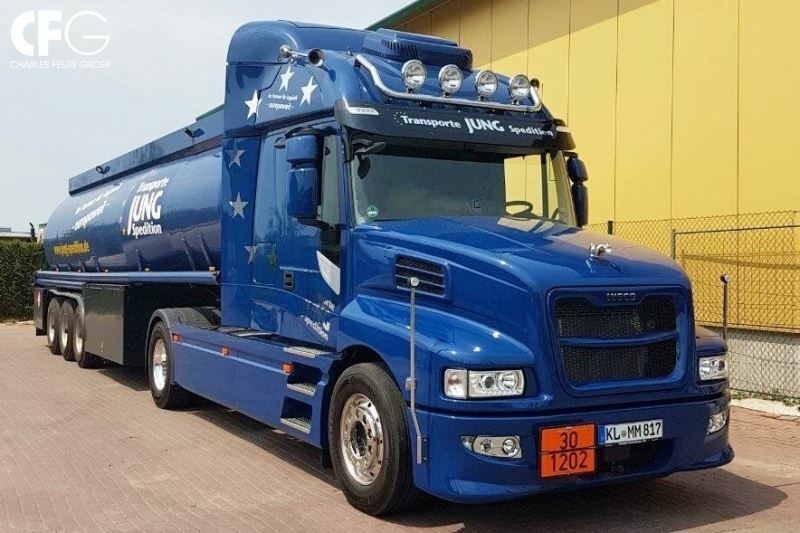 We all know the Iveco Strator, a bonneted Iveco truck that is rebuild in by CFG in The Netherlands. 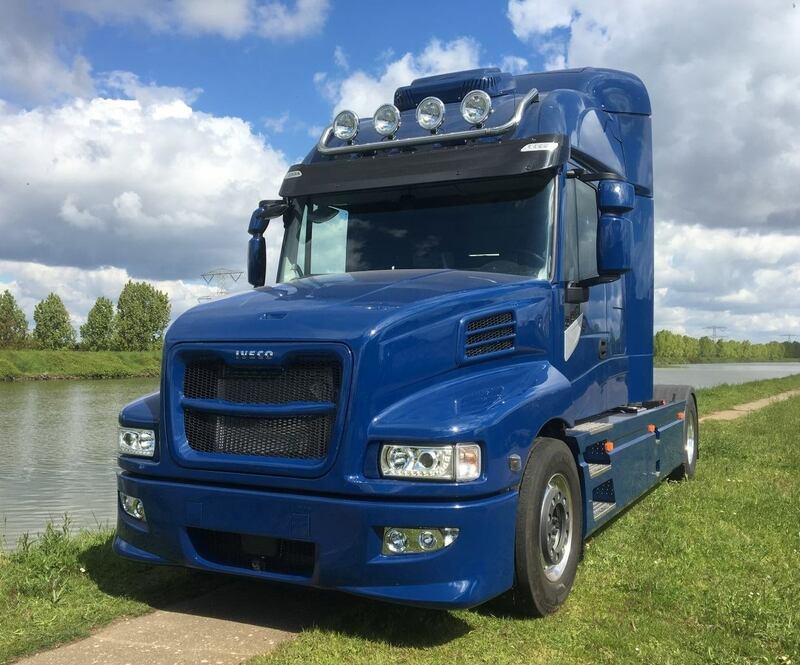 Dozens of these Strator trucks are running all over Europe now, and they are still produced. Another well known truck customizer is Vlastuin Truckopbouw. 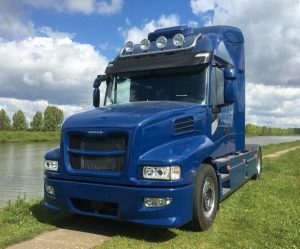 This company built more than fifty Scania’s of the previous model with a bonnet, and now they swiched over to the ‘Nextgen’ model. 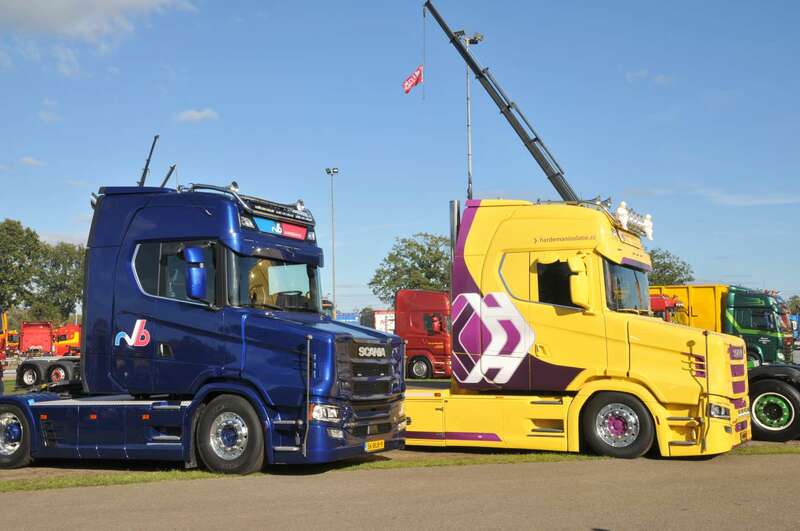 On the photo you see two of their latest products at a Dutch truckshow. 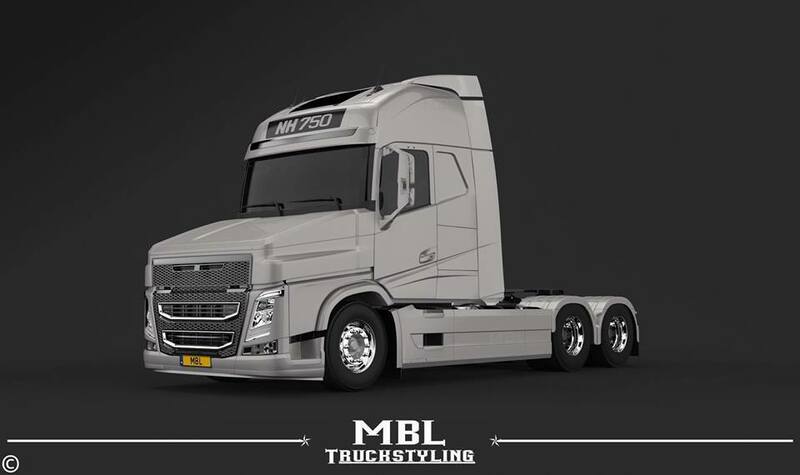 Now the latest is only an artist impression, made by MBL Truckstyling. It shows a Volvo FH with a bonnet. That would make it a NH model probably? 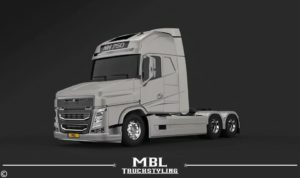 This Volvo is never built untill now, but knowing the Dutch: Never say never. It does look good!